It was a late evening hotel stay during a family trip when I overheard someone talking about me. Fresh towel in hand, I rounded the corner towards the Jacuzzi as the squawky voice echoed clearer, bouncing off the pool’s vaulted walls. The voice belonged to CK, (mother; aka Crazy Karen), who, clad in a J.C. Penny’s floral swimsuit and stretchy shorts, had plopped in the Jacuzzi next to my dad, brother, and son, to hold court in a one-sided conversation on weight-management. “It wasn’t until after the girls got married that they all got fat,” CK said of my sisters and me. And with that, she threw her head back in a roar of laughter and slapped the water with both hands, leaving droplets at my feet. Then with a slight, acknowledging pause, she turned her gaze toward me. My dad choked with laughter and my brother stifled a chortled cough in his hand. With a heavy sigh, I dipped in the Jacuzzi and closed my eyes. I reclined my head against the Jacuzzi’s edge, my ears submerged in the water until CK’s voice was a mere muffled high c-sharp; like the sound of a distant and persistent, cawing crow. No one was safe from the fatty remarks. “Maybe if she’d take some stew off those bones, she’d feel better,” my sister said of CK when CK griped about her sore feet. CK was always trying the latest diet with my dad. “What are you doing over there?” I asked her one night. She was reclined on the couch, scowling intently at a Women’s World magazine. Ignoring me, she gently licked her finger and turned the page. It was in these types of coupon-clipper-housewife magazines where she found her bogus diets. “Good luck with that one,” I said. The next month it was a Dr. Oz diet, where you buy like $2,000 worth of groceries and then spend six hours preparing all kinds of weird stuff. “Sounds like a lot of work,” I said when CK gruffed that she had only lost two pounds in three weeks. The rotating cycle of diets didn’t do squat for her, not do they for anyone I knew, and by eyeballing the sneaky trail of Lindor Ball chocolate wrappers around her house, I could verify that CK, just like me, and the rest of America hate diets and diets don’t work. Ruiz has created a simplified, individualized system that she has used for 25 years through muscle testing to determine the best superfoods, herbs, and supplements each person needs. Before I crossed paths with Nutritional Counselor Collin Ruiz, M.S. of Holistic Nutrition in Fort Collins, I wouldn’t exactly call myself fat but not exactly slim either. Actually, pretty far from slim. I learned from Ruiz that the only way to not be so fat, is to not diet, eat the right type of real food for your body chemistry at the right time, and exercise here and there in between. Add a few of the right supplements on top of that and you never have to worry about being the center of a fatty joke again. People make it way too complicated, I thought after my initial visit with Ruiz. Ruiz has created a simplified, individualized system that she has used for 25 years through muscle testing to determine the best superfoods, herbs, and supplements each person needs. Ruiz radiates health. She is slim, with long, dark hair and vibrant skin, appearing a good 15 years under her age. This is, of course, is because she muscle tests every nutritional item for herself as well, and has a thorough nutritional education background. She spends her days combing through nutritional research books, teaching weekly lunch nutrition classes at The Garden Juicery, and working with clients in person, via Skype or on the phone. She can take any random vegetable such as Fennel Bulb and turn it into a savory five-star centerpiece dish that everyone likes. When you eat foods suggested by Ruiz, it’s so flavorful you almost forget you’re eating healthy. The biggest mistake I think we all make is thinking that there is a one-size-fits-all approach to the best foods, supplements and exercise routine for our bodies. Fluoride exposure from tap water is linked to thyroid disease. “Oh! Yes! That’s a big one!” exclaimed Ruiz as she shuffled her muscle-testing fingers during our initial visit at my office. She had sprawled out several papers on the desk in front of her, one for vegetables, supplements, make-your-own Pesto – all kinds of stuff. Then she went down the list and circled what my body needed the most via muscle testing. “Coming up strong!” she said, twitching her fingers. I had asked Ruiz about tap water and whether it was affecting me. 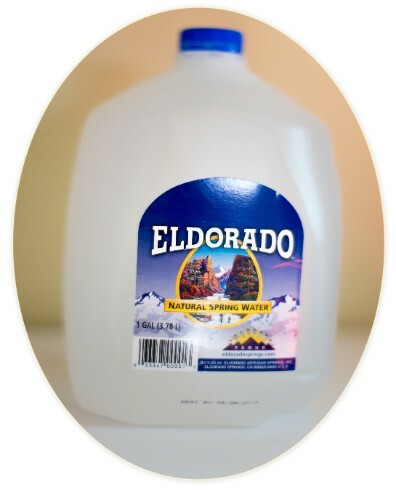 Ruiz asked a series of muscle-testing questions and her answer was to drink El Dorado water for a month to see how I feel due to the direct effect it was having on my thyroid. I don’t know if it was the water alone, or the water combined with everything else, but within days, my energy was soaring. As most of you know, fluoride exposure from tap water is linked to thyroid disease, which has risen more than 300 percent in the past 40 years. Thyroid displaces iodine in the thyroid gland, which is necessary for it to function normally. This all sounds like a great excuse to be fat. “I just have this thing called a bad thyroid,” I imagined telling friends over Mexican food and drinks. But I knew what the real problem was: the food. 2. "Is this What Normal Feels Like?" After muscle-testing all of the top foods for my body, Ruiz then created meals out of them and even told me where to access them. I’ve never had a big, fat American diet. I don’t like meat, and I crave fruits and vegetables. The problem was though, I didn’t know exactly what healthy to eat that was best for my body, so it kind of flat-lined weight-wise. I had spent my entire life living in a physically-fatigued fog, and within days of eating Ruiz’s suggestions, it was cleared! Food is clearly the foundation of all health remedies, I decided. Ruiz believes plant oils seem to work better with women’s body chemistry, and men do better with fish oils. But Ruiz didn’t stop there. She muscle-tested an exact list of supplements, such as Chromium Picolinate, CoQ10, Maca, Vitamin D3, Omega 3.6.9 and Horsetail, along with exact dosages and times. 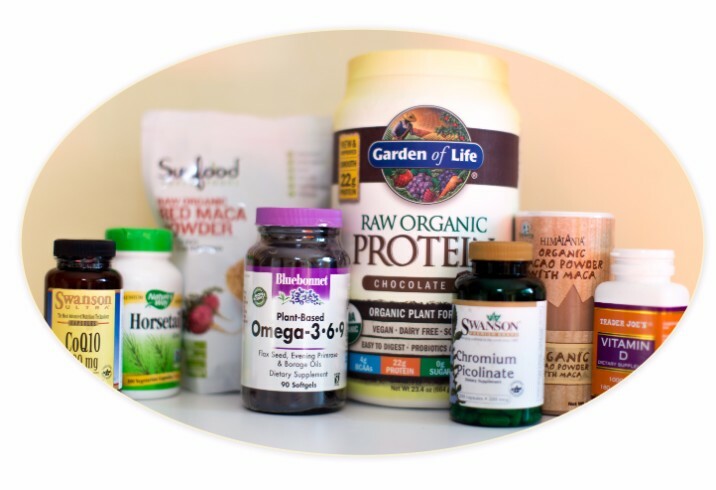 The more I studied some of these supplements, the more I realized some were a tonic for haggardness. I knew that I had chronically sunbathed for a good 12 years, but my god. What I loved most about supplements is that you won’t crash, (especially with taking Chromium Picolinate which is great for people like me with blood sugar issues) and you won’t feel hungry. I learned plant oils seem to work better with women’s body chemistry. Ruiz believes men do better with fish oils. Up until my first visit with Ruiz, I was taking fish oils. Based on a comparison of my energy levels with and without supplements, I concluded that if food is the foundation, supplements are the beams hold everything together. Birth control pills can raise blood glucose levels, leading to a resistance to insulin. When I look back now on taking the birth control pill since I’ve since been off it, it seemed like such an old-timey method. I also believe that it directly influenced my weight, even mood, but I was taking it a step further and manipulating it so I wouldn’t get a period by taking it continuously. Ruiz is currently conducting her own observational research on the side effects of the birth control pills. She told me that experiencing a monthly cycle of ovulation and menstruation boosts bone, heart and breast health. Ruiz pointed out that skipping my period played a role in weight gain and that I needed to take at least five days off of the pill a month. There is also evidence that birth control pills can raise blood glucose levels, leading to a resistance to insulin. 5. "Get Me Out of This Weight Class!" Barre workouts lengthen and tone your body much more effectively than traditional workouts. I used to wake up at 5 a.m. and by 5:30 a.m. I found myself huffing around with huge dumbbells attached to my back doing squats in a loud, florescent-lit gym class. The music was blaring angry tunes, my cortisol levels were rising and I wasn’t enjoying a minute of it. “Yeah, that’s not doing anything for you,” said Ruiz during our initial nutrition session, as she muscle tested my workout routine. Instead, Ruiz suggested yoga four times a week, as well as hiking, walking and the elliptical. Because my schedule isn’t synced with yoga classes at my gym, I opted for Barre classes instead, which I attend three times a week. Ruiz said Barre isn’t good for my feet, which is true, but I found that it’s the most effective workout besides yoga. Barre classes are a combination of Pilates, yoga, dance and ballerina-type moves that fatigue each muscle with light weights, a lot of reps, strong core workouts and lengthens and tones your body much more effectively than traditional workout classes. It wasn’t until I met with Ruiz that I gave myself permission to permanently drop those big, dirty dumbbells. Since meeting with Ruiz, I’ve dropped a lot of other things as well. 10 pounds of weight is one, and as a result, some of those fatty remarks have died down…mostly. My blank stare wasn’t enough for her, and in a desperate attempt of an analogy, she pigeon-toed her stance, her knees slightly bent, raised her traps and puffed out her cheeks as she widened her eyes, resembling a fat, startled chipmunk who had just scampered in the road and forgot what he was doing. Then she turned towards the mirror and cackled wildly as she repeatedly yanked the comb through her hair. Before I left the room, I caught a glimpse of her reflection in the mirror, and I think I saw a joyful tear forming in the crease of her eye. I don’t think I ever resembled a big fat, dumb chipmunk but I can say that for me, I was fat. I guess Ruiz showed me a way to not be so fat. But she also gave me invaluable time back. When you’re fat, sick or tired, you might be running off 20 percent energy. Maybe 50 or 60 if you’re lucky. But to have all of your energy back because you’re being fueled by the right foods is priceless. Ruiz lives by Hippocrates’ message of “Let food be thy medicine and medicine be thy food.” No two body chemistries are alike; therefore no two nutrition plans will be alike. Ruiz’s nutritional aid has been so imbedded in my daily life now that there are moments, like when I’m pouring Maca in my smoothie, that I stop and think, “How did I ever live without this?” Or when I look at those old fat pictures of me and think, “Wow, someone was depressed.” I was doing everything wrong back then, and Ruiz came in and gave me a blueprint for health and energy which increased my zest for life. When vital life force energy is flowing through your body, everything is right. Not being fat just turned out to be a nice side effect. "The perfect match is what is key! Your body has a unique relationship to food, how you digest, absorb and process nutrients will be addressed so that you get the maximum benefit from the foods you eat." "I’m passionate about the art of food based healing, living intensely, having a passionate relationship with the food you eat to live your life to the fullest. Holistic health is a state of balance, not simply an absence of illness. It doesn’t matter what you come to with. I help you build a foundation of the best foods for your well-being. The perfect match is what is key! Your body has a unique relationship to food, how you digest, absorb and process nutrients will be addressed so that you get the maximum benefit from the foods you eat. I am deciphering your body’s relationship to food! Food is medicine. How could you change your life, by changing what you eat? I want you to be wowed and amazed when you realize how good food can make you feel! Improving your physical & mental/emotional health through improved eating strategies is my goal! As you connect to your body, you will start living life to the fullest." Store walkthroughs - Walking down the isles to find the best choices for you, best power bars, best supplements. What are the best choices for your body? Supplement check up - Go through the supplements you take, are they hitting the mark? Are they the perfect match for your body? Individualized, detailed cleanses, optimize detoxification pathways, pull toxins out of your body and eliminate them effectively. Hormonal balance with food/supplements. Supplement schedule to meet your individual cycle to make it simple and easy. Join Holistic Lunch & Learn Lunches every Wednesday 12:30 - 1:30 p.m. at the Garden Juicery in Fort Collins! Every week a new food will be featured to learn about the health benefits and experience it! When: Every Wednesday from 12:30 p.m. - 1:30 p.m.
Click here to contact Collin Ruiz today! Does your business have a story? 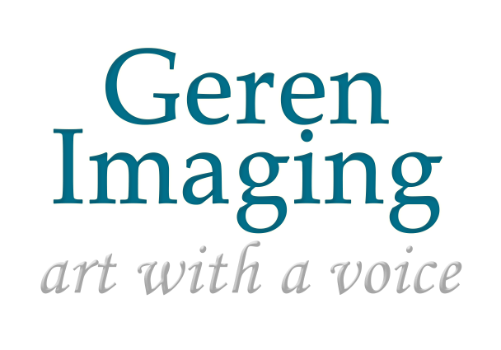 Do you need professional portraits? Let me help you reach more people through authentic portrait reviews. Jaylon - This article opened my mind to a nutritional approach that goes beyond the general One Size Fits All plan. I like the customized personal approach that work best for our unique bodies. A great read! Dee - This nutrition approach sounds interesting. Would love to read a follow-up article to see how you and her other clients are progressing in a few months. If I'm ever in Fort Collins I'll make sure to join a lunch & learn!